Mumbai, September 22, 2016: Mahindra Two Wheelers Ltd. (MTWL), a part of the USD 17.8 billion Mahindra Group, today announced the launch of the special edition Mahindra Mirzya motorcycle to celebrate its association with Rakeysh Omprakash Mehra’s upcoming movie, ‘Mirzya’. 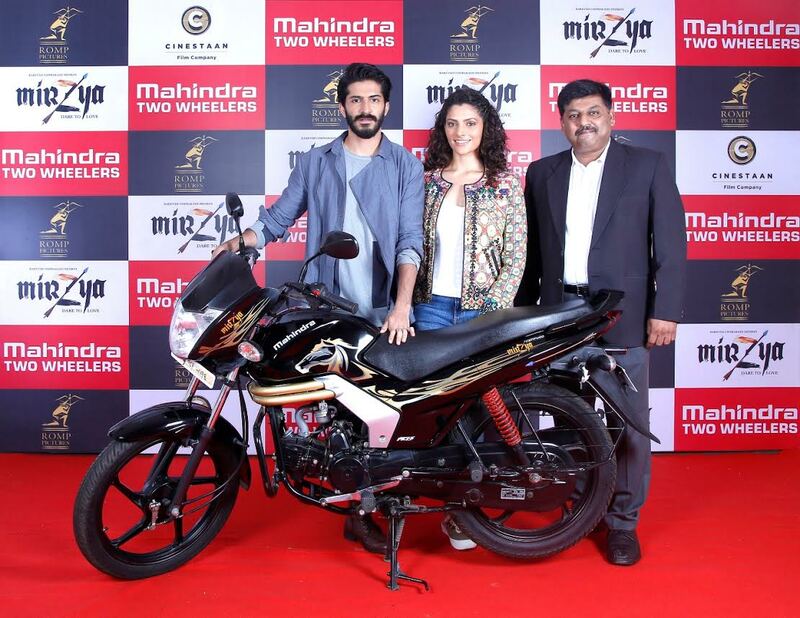 The special edition Mahindra Centuro Mirzya is powered by Mahindra’s indigenously developed, intelligent MCI-5 (Micro Chip ignited 5 curve) engine that adapts to terrain and gives unmatched pick up and mileage. Its stylish alloy wheels, Flip Key, LED Tail Lamps and distinctive body graphics makes it stand apart. In recreating this romantic tragedy, Mehra has strongly visualised, ‘the legend of Mirza & Sahiban’ in the movie Mirzya. The film has been shot in the bleak and desolate terrain of Ladakh and vibrant, colourful Rajasthan, which brings out the stark contrasts while intricately weaving in nuances of an eternal love story which resonates even today in contemporary Rajasthan.